(Crazy Otto's on 20th St.) A year ago my friends from Arizona visited me and they were open to the Lancaster restaurant experience. I talked up Crazy Otto's so much and as expected, the breakfast was awesome. Recently, those same friends came out and we went to Otto's (August 5th) for breakfast. The eggs were hard and my wife's sausage was burnt all on the edges (My daughter went three months prior and the same happened to her sausage but we thought that was just a fluke). And the bacon... two years ago the bacon was real thick, now it is no better than what I can get other restaurants. 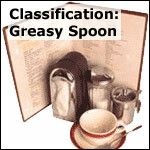 The biscuits and gravy ( one of my favorites) are just average and the gravy was bland. I was going to bring the whole team next month. But I will not bring all those people there to be disappointed again. Too bad they have lost their quality. They sure charge enough to have quality food. I am only talking about the food quality: The service was great as always! However, I will tell my friends not to go there. I have been a frequent customer for several years. I have been out of town for a month. I went to crazy otto's this morning and was appalled. I ordered an omelette with my choice of cheese. I was told that it was an extra for Swiss cheese, I said forget it. Breakfast was served and I asked for some salsa for my omelette, again I was informed that it was an extra $1.50 for salsa. ARE YOU KIDDING! I was afraid to ask about ketchup or Tabasco, is that next. I was upset and left the waitress that $1.50 tip. There is an abundance of breakfast places in the valley. I will be visiting them from now on. Oh by the way, the cashier did give us a plastic bag and no charge for the "doggie box". Thank you very much Crazy Otto. I have been coming here for years. Not only for the great service,but also the home style food,portions and atmosphere. I always sit at the counter because that is where most of the action is. You would not believe what some of those employees go through with just a few,obviousley disturbed individuals! I mean 2 out of 100 that for some reason have nothing better to do, but to eat here 3-7 days a week, and manage to complain EVERY TIME!! I sit here so happy and listen and wonder, why are you here AGAIN, if it's soooo terrible? I can only imagine what's going on in their heads? They manage to gracefuly cater to their unrealistic babbles, and still give awesome service even though,time has been wasted!!AGAIN! can't be that bad??!!?? The only advice I could give you, is to check it out for yourself, and not rely on someone elses babble, even if it is GOOD!!! I'm sure you won't be disappointed!!!!! Whenever I come in from NY, I always get tCrazy Otto's for a great breakfast. Always have had good service, good food and willalways go back. Love the atmosphere at Ave K. I've always found each store to be very clean. I was born in Lancaster and have been eating at Crazy Otto's since the 60's. The food is always great, the portions large and the coffie hot. The staff is always friendly and even when they are packed with lines out the door they are always there asking how you are doing and if you need anything else. I have eaten at every location and have never seen one that was dirty (including the restrooms). This is a fine example of Americana at it's best! Some people should stick to their snooty little cafe's and leave real food to those of us who know it, and appreciate it. keep an eye on the cooks is what I have to say about this place-at least at one location (not going to tell you which one). Absolutely disgraceful what I witnessed. Also, during the hottest times in the summer, they often do not run their air conditioning, and the cooks drip perspiration...well I'll let you visualize that one. They cut corners wherever they can. And by the way..... I AM A LOCAL! I tried a few times because I kept hearing "Gee, der uh...I don't know what all the bad ratings are about...I've lived here a long time and I think it's great! Derrrr..."
This place gets bad ratings because unless you are lucky-it's horrible! I hate to say it, but I got sick every time, and I will never return! I love this place, everytime I have a visiting relative visiting, this is where we go, it has always been clean and food is very good and the people that work there are very warm and friendly and want to make sure your every visit is a truly warm and comfortable one, I love the pankcakes and biscuts and gravy every things is so plentyful and the cost is about average, the coffee is great and I love the atmosphere there, this is one of the great places that Lancaster has to offer, the servings are huge and a half portion is great for me. Whenever my wife and I visit our family in Lancaster we ALWAYS come to Otto`s for breakfast.Plentyfull and delicious. But the coffee is always TERRIBLE. and charge far too much for eggs and bread. People are not stupid. I do agree Lancaster lacks in choice for good places which often leads people to eat at places they normally would avoid. I've been going to Crazys since they were located on Sierra Hwy in Lancaster right next to the train tracks in the 80's. They are not inexpensive, But I like the food. I usualy get the half order because you get lot of food. Ignore the bad ratings on this web site, they wouldnt be in business as long as they have been if this was a lousey place. Check it out. I can comment with considerable authority and experiance on the qality of food service and sanitation of this establishment. My parents first took me to Crazys on the tracks in the late 60's. Since then my wife and susequently my children still eat at one oe all locations to this date. My job is to conduct sanitary inspections and purchase fresh fruits and vegetables. Based on this training and many years of great meals at the Crazy Ott's resturaunts through out the Hi Dessert. I have never experianced anthing short of a very exceptional meal and outstanding service. Whenever I go out to Lancaster to visit family - I always go to Crazy Ottos - the food is great - the service is fast and friendly and the cost is reasonible. Complaints here at this site of opinions that it is dirty confuse me as I have never ever experienced that. EVER! I don't know if this is a Lancaster 'Best Kept Secret'...people come from all over Southern California to enjoy the HUGE OMELETS!....always good service. Strawberry Waffles are outstanding as well! Portions are BIG, however you pay more for the larger serviings. Service is good, coffee while at times hot, average tasting. Meat quality of steaks was poor. I would prefer less food and higher quality. lancaster's best kept secret! where the locals go.large omelets and pancakes! Reviews submitted here are meant to pertain to breakfast only. While Mr Breakfast cannot vouch for the validity of each restaurant review, he feels pretty good vouching for the excellent character of the residents of Lancaster, California - who are primarily responsible for the review(s) you see above for Crazy Otto's.